Last night I saw Mission Impossible. 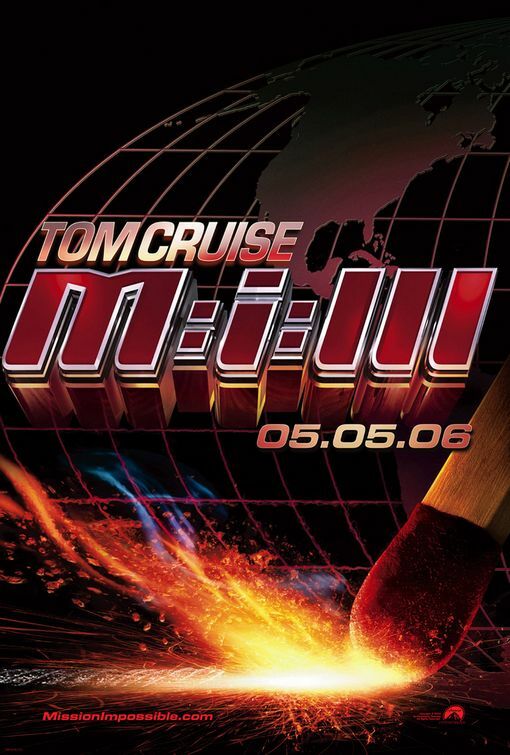 When the worldwide release date for this movie is 5th May 2006, Dubai showed it two days earlier on the 3rd of May 2006. How that happened, I have no idea, but I do know it was an awesome time watching this movie. 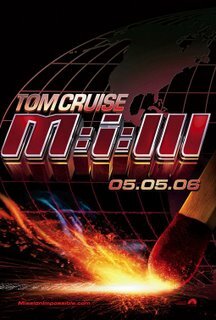 I had serious doubts about this movie since I did not like MI 2, and I thought maybe this will be an inferior version, but I was proven wrong by Cruise and the rest of the movie. I think what really drew me into the movie was a solid script, a very strong story line, an intelligent one and best of all the fun and extremely captivating action sequences. I won’t get into the story itself because I will spoil the mystery element of it, so I would encourage you to watch it, preferably in the movie theatres. My favorite scene was in Shanghai, which involves two tall buildings and one long jump! I literally held my breath as Cruise makes a huge leap of faith! I don’t want to get too much into this movie, but I absolutely enjoyed this movie. Great action movie, great acting, awesome script and a whole lot of fun. The only downside was that this movie is about 2.5 hours long, which can prove daunting to those who seek only action scenes.